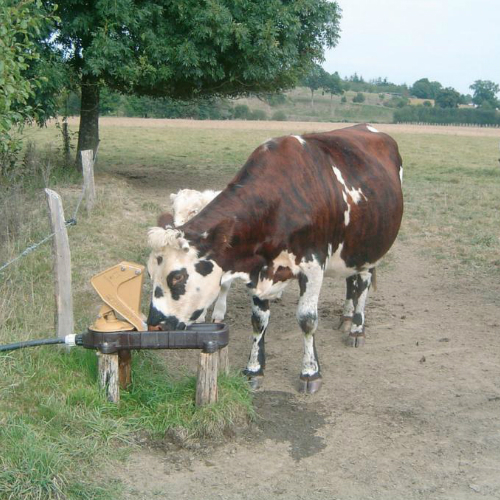 While pushing the animal activates a diaphragm drawing the water through the tube of the Aquamat Pasture Pump. 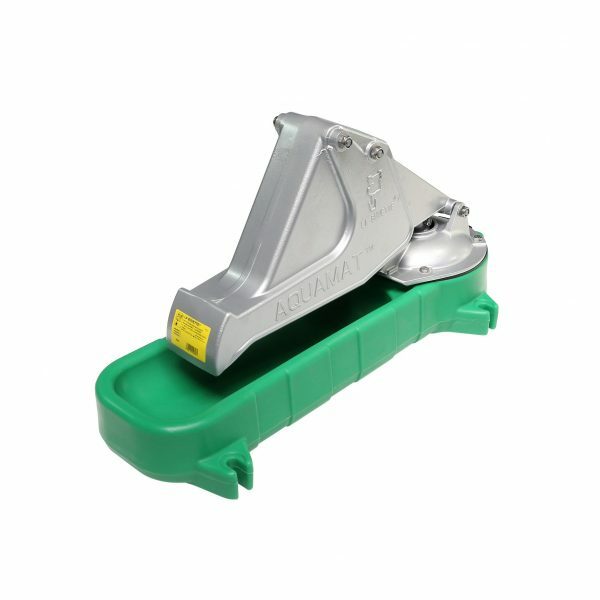 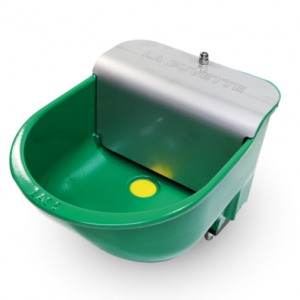 A non-return valve prevents the pump from running dry. 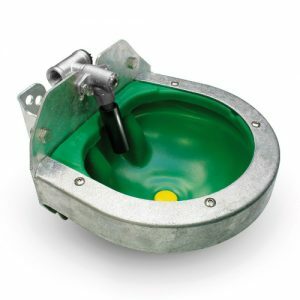 Releasing the mechanism, the water flows into the small bowl under the rush lever. 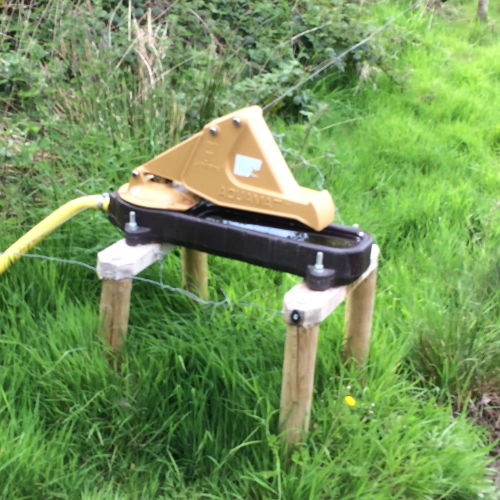 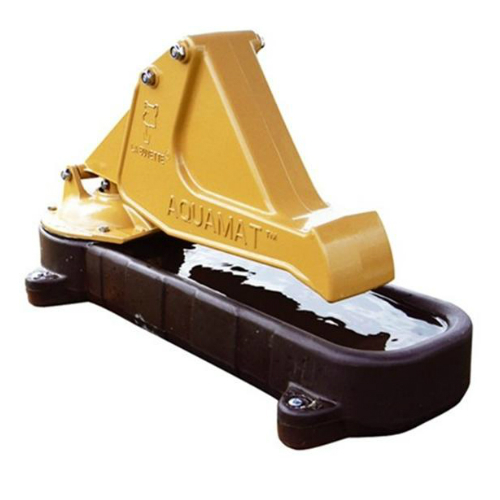 The Aquamat Pasture Pump mechanism is very light to operate, which makes it also suitable for horses and calves from 6 months onwards. 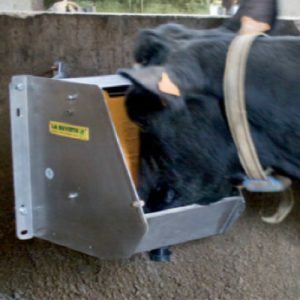 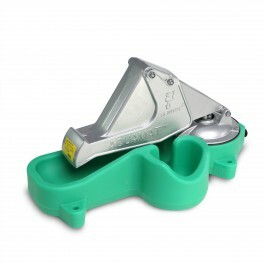 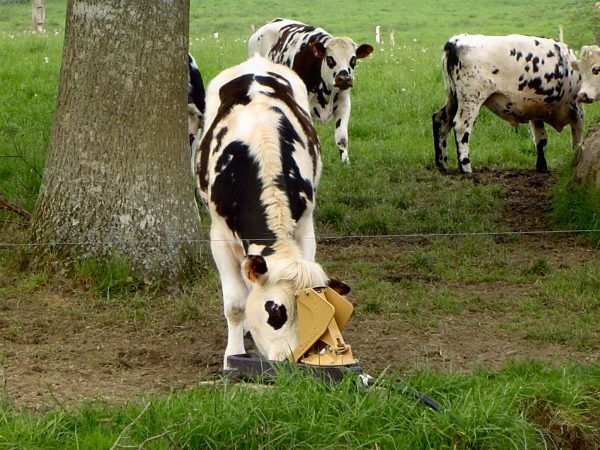 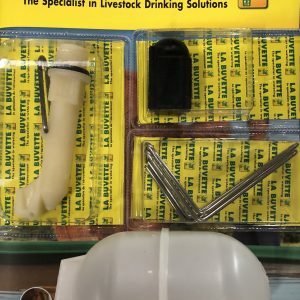 For nursing cows followed by their young, a special model is available featuring a small built-in bowl next to the trough allowing the calf and adult to drink simultaneously. The consumption of water and fibrous food by an unweaned calf enhances rumen fermentation, which in turn helps to develop its rumen.